Burn explosion accidents usually happen because someone was careless, negligent, or reckless, violated the fire safety laws, or failed to act. Burn injuries can come from a number of sources or because of certain activities. Burn injury victims can experience excruciating pain even as their burn wounds heal. They may have to undergo painful skin graft procedures to fix the damage caused by steam, fire, or chemicals. Burn survivors may experience physical trauma, organ damage, body chemistry damage, and sensitivity to temperature change. Once the physical scars start to heal, the emotional scars may start to arise. Disfigurement often brings unwelcome stares that undermine self-esteem and self-confidence. If you or someone you love sustained your burn injury in San Diego County because another party was careless, negligent, or committed a wrongful act, you may be eligible for personal injury recovery for your losses. As a burn injury victim, you may be entitled to compensation for future and past medical costs, lost wages, disfigurement, physical disability, mental impairment, embarrassment, and emotional pain and suffering. It is very important that you hire a San Diego burn injury lawyer that has the experience and resources to thoroughly investigate your personal injury case and knows how to determine and prove fault. Your burn injury attorney should also know how to develop an effective courtroom presentation that will help you receive the compensation that you need to move forward. Access to forensic fire specialists, medical experts, and others that can help prove your burn injury case and provide a full picture of the present effect of your injuries and the physical challenges you may have to deal with in the future is essential. Our law firm represents all burn injury clients in San Diego, Carlsbad, and other cities in San Diego County on a contingency basis. You won’t ever have to pay us in advance for any services, and you will only pay us if you receive a judgment or settlement. The Law Offices of David M. Boertje offers free first consultations to all prospective clients. 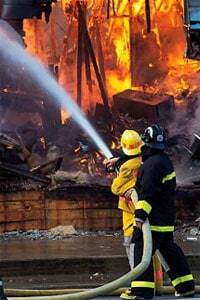 You are dealing with an experienced San Diego burn injury attorney when you work with our law firm. We will make sure that you are aware of your legal rights as a personal injury victim and have an understanding of your prospects for a successful case outcome. To speak directly with a knowledgeable and skilled personal injury lawyer about your burn injury case or any other kind of personal injury case, call the Law Offices of David M. Boertje and ask for your FREE CONSULTATION. You can also contact us online or send us an e-mail. We will contact you as soon as possible.